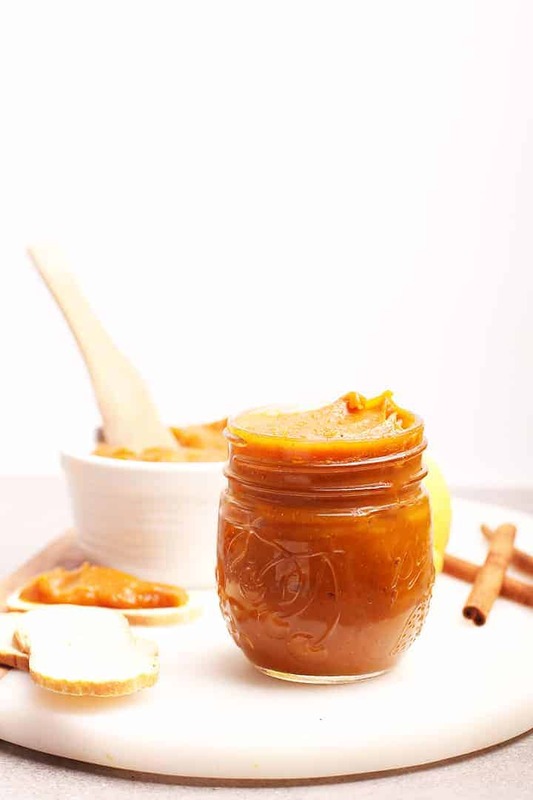 This homemade maple pumpkin butter is quick and simple to make for a delicious condiment, filling, or spread. Made in just 1 pot in under 30 minutes for a treat to enjoy all season long. b) got curious about what else I could do with it. Turns out, there are so many things! I have been enjoying pumpkin butter as a spread on my pumpkin bread and muffins, mixing it in with my overnight oats, topping my pancakes and waffles, and the kids have been enjoying it as a dip for apples and bananas. Who knew pumpkin butter was so good? And, not only is it wildly versatile and delicious, pumpkin butter is SUPER easy to make. How to make Maple Pumpkin Butter. This recipe is super simple to make. It requires only a handful of ingredients and a few spices. These ingredients get tossed together in a soup pot and simmered over low heat for about 25 minutes until your butter has cooked down a bit so that it’s thick and shiny. That’s it! So easy. Do note: you should use at least a 4-quart soup pot for this recipe. I found this out the hard way. The first time I made it, I learned that as the pumpkin mixture starts to boil, it will spurt up making quite the mess on and around your stove. Not fun to clean up. Once the maple pumpkin butter has cooked down so that it’s thick and shiny, it’s ready. Remove it from the heat and let it cool for 20 minutes before transferring it to a glass jar. Leave the jar uncovered at room temperature to let the butter cool down. Once it cool, the Pumpkin Butter can be sealed and stored in the refrigerator for up to 2 weeks. This recipe makes a little more than 2 cups. If you don’t think you’ll use all of it in 2 weeks, some of it can be stored in the freezer for up to 2 months. When ready to eat, take it out of the freezer the night before and place it in your refrigerator to thaw. 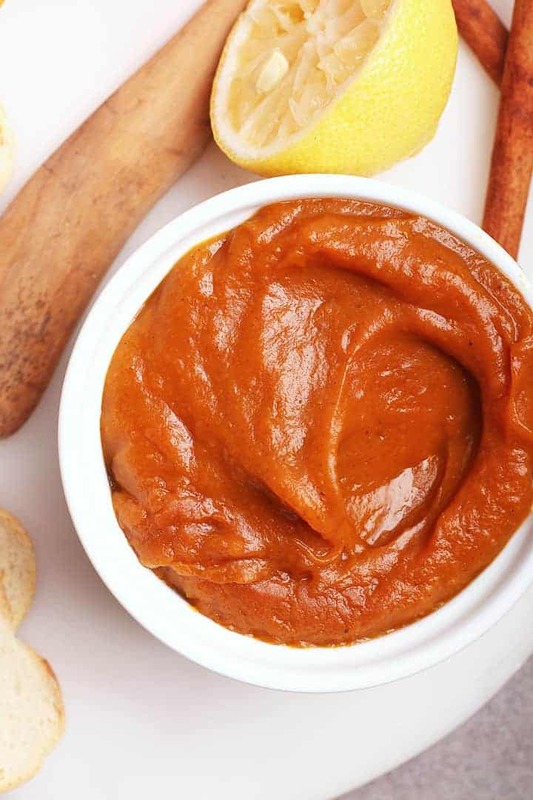 Pumpkin butter is an amazing seasonal condiment with so many uses. Here are a few ways I love to use my homemade pumpkin butter. 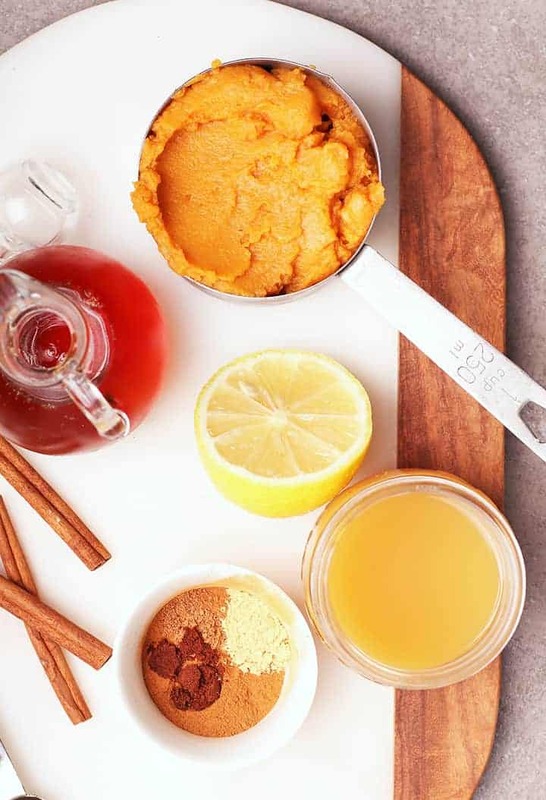 For more ideas on how to use your pumpkin butter, check out this article. Ready to get started? Let’s take a look at the recipe below. Stir together all the ingredients in a large soup pot. The pumpkin will bubble up, so use at least a 4-quart pot. Place over medium-high heat and bring to boil. 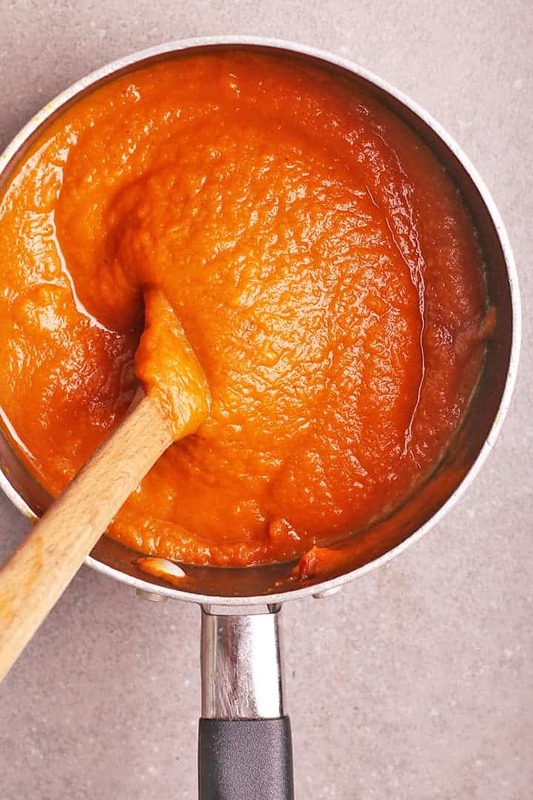 Once boiling, reduce heat to a simmer and simmer for 25 minutes, stirring occasionally, until pumpkin butter has reduced in volume and thickened. Let cool for 15 minutes before transferring the pumpkin butter to a mason jar. Continue to cool for 1 hour at room temperature. Store in the refrigerator for up to 2 weeks or freeze it for up to 2 months. Enjoy pumpkin butter on pumpkin bread, over pancakes, on muffins, or in cocktails!